Playing with water and sand a great measurement activity! Have you ever watched a child play? They like to play as if they ARE adults. They even mimic adult language. Children are sponges, they are receptive learners. They build their vocabulary by listening to others. Children often act out their experiences, they use gestures, voice inflections and words they really don’t understand. “I actually am not going to go there tonight” stated one 3 year old playing in the housekeeping center. She was really talking about her experiences, listening to a particular situation she had overheard. Children build on their knowledge by building experiences, taking action on their own. Meaningful experiences shape the direction of how the child feels about himself, and his surroundings. Positive interactions DO make a difference with the child’s self worth. Simple achievements make big learning steps for children. Openness both to failure and accomplishments makes a child flexible and able to make adjustments to attain goals. Children need to fail to test the limits of new ideas, explore possibilities and overcome defeats. Watch a child to really learn about building conceptual thinking, accessing situations and developing plans. 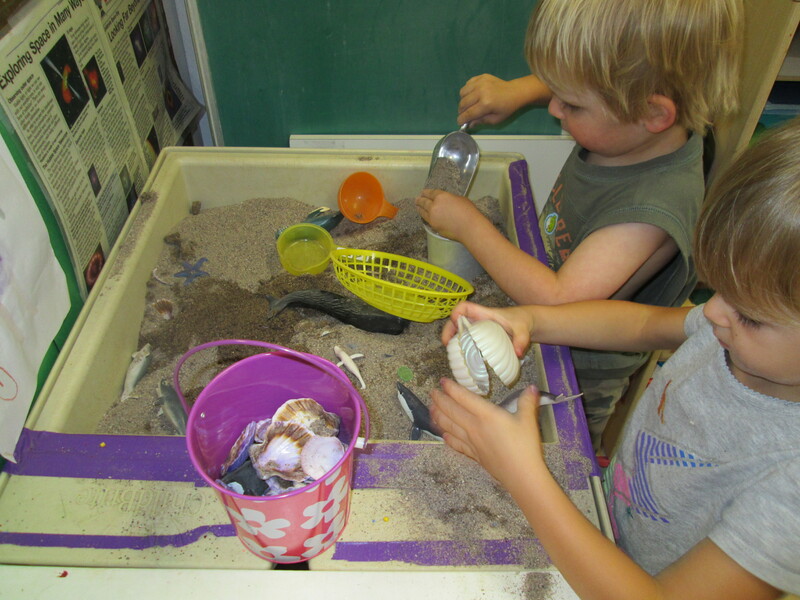 Water play is a perfect choice to build knowledge, water and sand play can be an indoors and outdoors, depending on weather. Large Tupperware tubs with food coloring, sea shells and sea creatures can excite children, give them basters for added fun. Watch them calculate the amount of sand or water needed to fill a bucket , change the color of the water, or fill a cup with more water. Let the child direct play, he will actually have a lot more fun than YOU telling him how to play.